Home » Tips and Ideas » A Thorn in a garden of roses? Martin Cranes chair. A Thorn in a garden of roses? Martin Cranes chair. 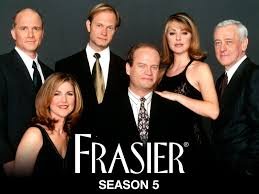 Frasier was one of the most decorated and best written situation comedies of all time. One of the facts that made it so popular was not only the characters but the set itself, namely Frasier’s beautifully appointed apartment. It contains all that is good in art and furniture taste including a beautiful Eames Rocking Chair. An Eames Chair being the epitome of style and available at https://www.pash-classics.com/eames-rocking-chair-rar.html for you to buy if you wish. The set cost the production company a fortune, but it was the dirty ugly reclining chair that was the star of the show. 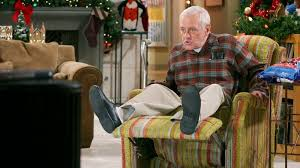 The chair was the property of Martin Crane the father of Frasier. Martin couldn’t be more different to his two sons. Whereas Frasier is a psychiatrist and an academic, as well as a man of the arts and find dining, Martin is a retired cop (a forced retirement at that). He has been shot in the hip and is now of limited mobility and unable to walk without a cane. He has had to move in with Frasier which he is not happy about it at all. To Frasier’s disgust and constant anguish, the reclining chair is brought in and plonked in the middle of his perfectly planned and ordered apartment. Frasier is incensed and asks his father to remove it. The chair is stained and battered, and it has duct tape protecting its rips. It sticks out like a sore thumb in the perfectly decorated apartment. Martin says no and launches into a monologue where he points out that this is the chair he was sat in when he was told he was going to be a Grandparent for the first time and that is was the chair he would fall asleep in, where their Mother would kiss him lovingly. In essence the chair is a lifetime of memories. It’s easy to see that the chair is a metaphor for the relationship between the two men. Martin is out of place with Frasier, but it shows that room can be found anywhere for you if you just try hard enough. The last episode with the chair proved this. During an accident Frasier and his brother Niles end up setting fire to the chair and then tossing it from the apartment only for it to meet its end on the street below directly in front of Martin and Daphne. Martin concedes that the chair has had its day and he buys his son a new black recliner, more in keeping with the apartment’s décor. It is then that Frasier wheels in an exact replica of Martins chair that he has had made at incredible expense. He then points out that the replica is the most expensive piece in the entire apartment.